I love him. He is the best father to my children that I could ever ask for. I love that he takes care of me and Grant and Eric. He cooks and cleans and comes home and bakes cookies with Grant on Father’s Day. Grant really enjoyed that daddy son moment, and I loved watching them. Thanks a bunch Liz! You rock! You are really getting into this hobby! What program do you use? 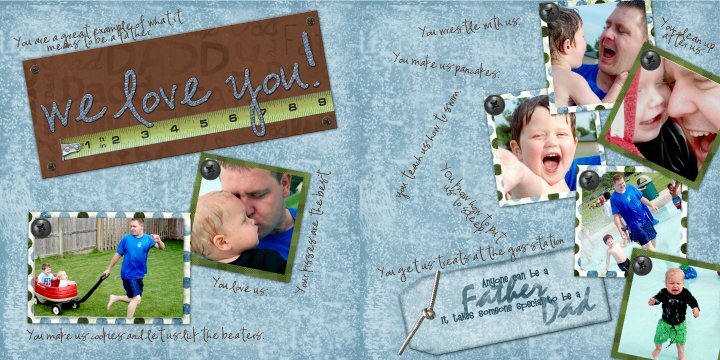 Digital Scrapbooking in defintely on my “tackle someday” list.